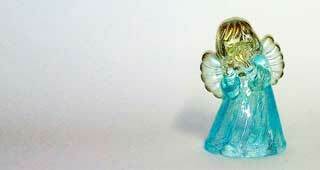 "Perle d’Arte" is an artistic handicraft laboratory, specialized into hand-decorated crystal and glassware. 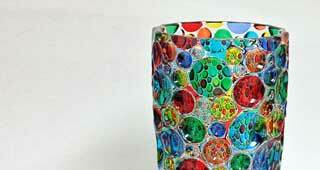 "Perle d’Arte" works in full respect of the Venice tradition and the ancient school of Murano master glassblowers. Crystal and glass hand-decoration requires skill, competence, creativity, taste and much passion: only synergy of these elements allows our creations to survive the passing of time. Decorated handicraft enhances the value and prestige of the materials: they are smooth and waterproof and only a gifted hand, precise in touch, can improve their quality. 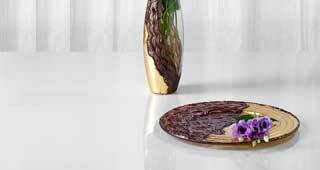 To elevate crystal and glassware, "Perle d’Arte" guarantees to its customers an unceasing technical and artistic innovation. Technical innovation is based on exclusive use of non-toxic and indelible colours. Artistic innovation is finalized to offer a wide assortment of hand-decorated glassware: from souvenirs to presents to friends and acquaintances, from favours to sculptures, from elegant home accessories in crystal to glasses and stemware, tea and coffee sets, besides vases, table centerpieces, trays, bowls, bottles and much more. Per dare il giusto merito a vetro e cristallo, la Perle d'Arte garantisce ai suoi clienti una continua innovazione tecnica ed artistica. L'innovazione tecnica si basa sull'utilizzo esclusivo di colori atossici e pigmenti indelebili. 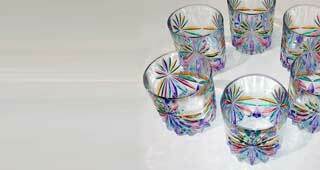 On line sale of decorated glassware is for us a step forward and full of expectations, the opportunity to offer further visibility to hand-decoration of crystal and glassware. They can also add a touch of elegance and sophistication to your own home. 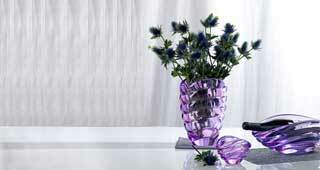 Each section of our site is dedicated to a different kind of decorated glassware. You’ll find all the information you need to know better our production. You can buy on line all kinds of stemware and glasses - single pieces or sets - bottles and pitchers in combination with sets of glasses, elegant vases or table centerpieces for a prestigious present, a wide selection of hand-decorated favours made of glass. 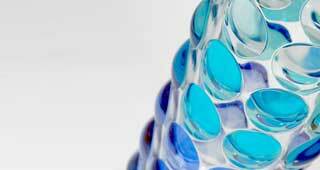 "Perle d’Arte" strives for continuous research of new shapes and objects to offer to our customers. 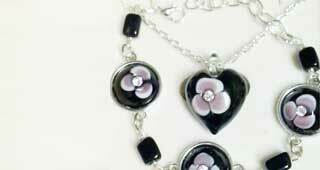 Therefore we unceasingly update our catalogue. 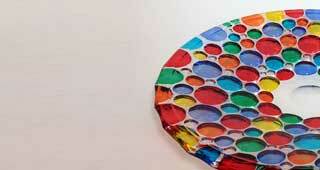 "Perle d’Arte" is based in Monastier, near Treviso. Decoration is hand-made in our laboratory which is just beside our shop where you’ll get to know and buy crystal and glassware from our selection. We have developed our work in various directions: we also decorate for other companies, especially for a lot of souvenir shops in Venice, that gladly receive our cooperation. 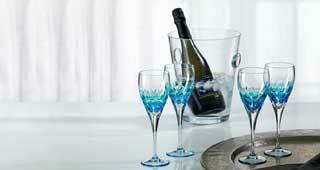 We offer our crystal and glassware already decorated, and they give us great credit for the quality of our work. 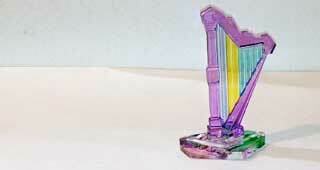 "Perle d’Arte" sells on line custom giftware made of glass: you can choose colour and decoration for each piece. 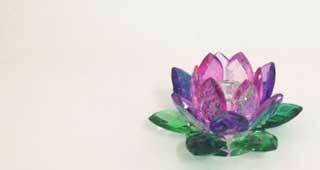 In the section dedicated to sculpures, there are other pieces in crystal and glass, to be used as home accessories but also suitable to be used as favours. For weddings, you can choose the presents for best men and maids of honor either in the sections "crystal vases" or "table centerpieces" or "home accessories". "Perle d’Arte" is willing to customize your favours with different decorations such as the date of the event, the name of the little boy or girl, the name of the bride and the groom, or something else as wished by the costumer. 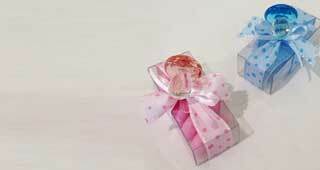 We also provide packaging in box or bag with bow, card and sugared almonds. The entire set of favours can be shipped: on line purchase can be made comfortably at home after checking the prices of "Perle d’Arte".